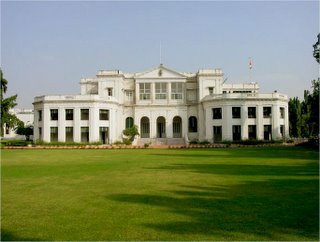 Tamil Nadu Governor's mansion (Raj Bhavan) has a web site now. This site has lots of information about the Governors residence past and the present. There are two Raj Bhavans in Tamil Nadu, one is Chennai and the other one in Ooty. Governors initially stayed in Fort St. George which is the seat of power now. If you are in to trivia & stuff, this site is for you. The site is kind of slow and drab but informative. what about the raj bhavan in nungambakkam high road? hi hi.. There is a Raj Bhavan in Nungambakka High Road? I didn't know that.. Is it Governor's mansion or Hotel?? ?